In life, there are defining moments such as passing your driving test and having kids. These are moments that can play a major role in shaping the rest of your life. Deciding to buy your own home is another of these defining moments. You need to understand that there will be a lot of work and financial pressure involved in planning for a mortgage. Have a look at the steps on this guide, and try to use them to help you get the mortgage you need. If you can focus on each of these things, you will improve your chances of getting the right mortgage. It can be daunting, so you have to make sure you take the necessary steps to plan everything out. Money is going to be the big issue here, so you need as much of it as you can. That means you need to come up with ways to generate extra income. Why not consider taking on some extra hours at work? You need to be packing in every hour under the sun in the build-up because you could do with this extra cash. If your job is not hourly then you’ll need to get creative to earn extra money and do something like getting a second job. When you make the decision to get a mortgage that now has to take priority. Everything else in your life has to come second to that. This means you’re going to need to cut your lifestyle down, and you need to be disciplined about this. A lot of us these days live expensive lives, and it’s easy to spend money all the time. But you need to ensure that this doesn’t happen because it’s going to hinder your ability to save cash. Cutting down on your life expenses is the best way to start saving serious cash. The world of finance and property is an in-depth and convoluted one. There are so many dangers and pitfalls you can fall victim to. There are also a lot of ways to make the whole thing easier for you, but you may not be aware of what those are. And this is why you need to consult the experts as much as you can. 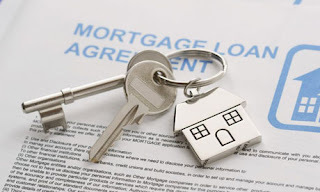 Contact mortgage advisors at CalMtg.com and speak to them about the details of getting a mortgage. It will be something that’s much less confusing and terrifying with professional input. With mortgage advisors on your side, you’ll feel much more confident and able to make the right decisions. Now it’s time to assess your financial situation and figure out what you can afford. This is an important step because you need to have a clear budget in mind. Once you know what you can afford you’ll be able to start comparing mortgage rates. You should never just go into the process blind without getting your figures sorted. Work out how much you can afford, and the rest of the process will be much simpler. Planning for a mortgage is a huge step in anybody’s life. It’s the stage where you finally become responsible and grown up. Owning your own home is something a lot of people never get the chance to do themselves. So it’s a big accomplishment for you. If you’re planning for a mortgage, you should use these points to help you.